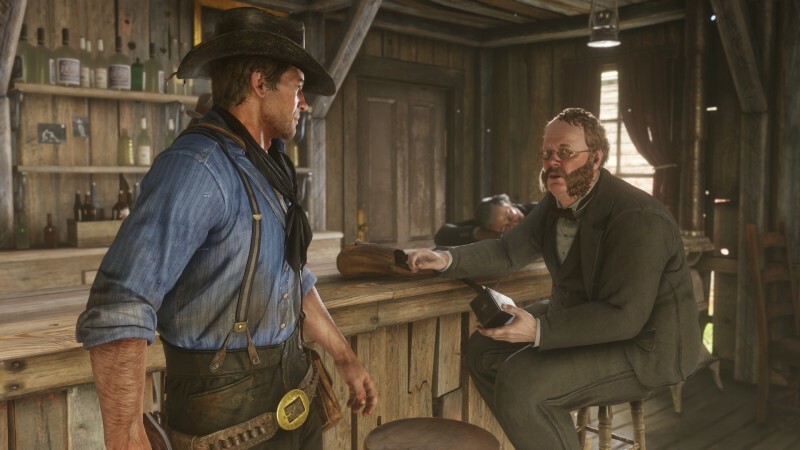 Over at Waypoint, Patrick Klepek expressed criticism of the ludonarrative dissonance variety, drawing attention to how the Arthur he plays in-game (kind, sympathetic) is often at odds with the violent killing machine Morgan seen in cutscenes and missions. I think Klepek’s point is fair criticism in that I can see how that clash could bother a player. 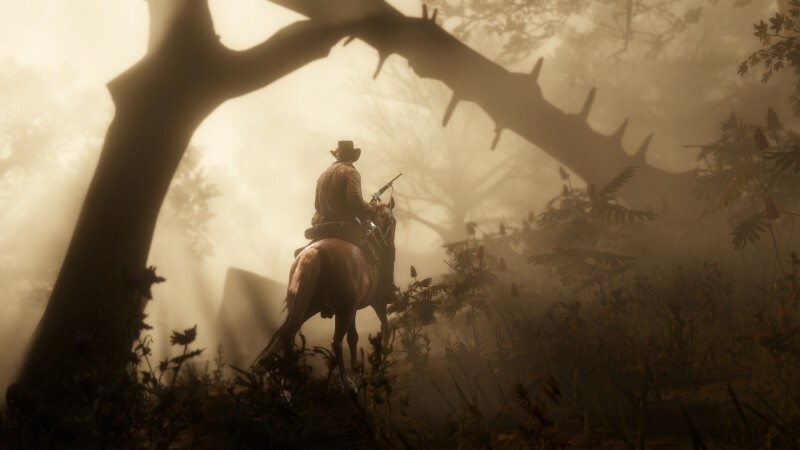 However, it doesn’t disturb me or pull me out of Morgan's mindset or the world simply because I think part of the entire ethos of Red Dead Redemption is rooted in the idea that people are complicated and thus lead complicated lives, especially when it comes to the interplay between myth and reality, between the person of the present and who they were in the past. 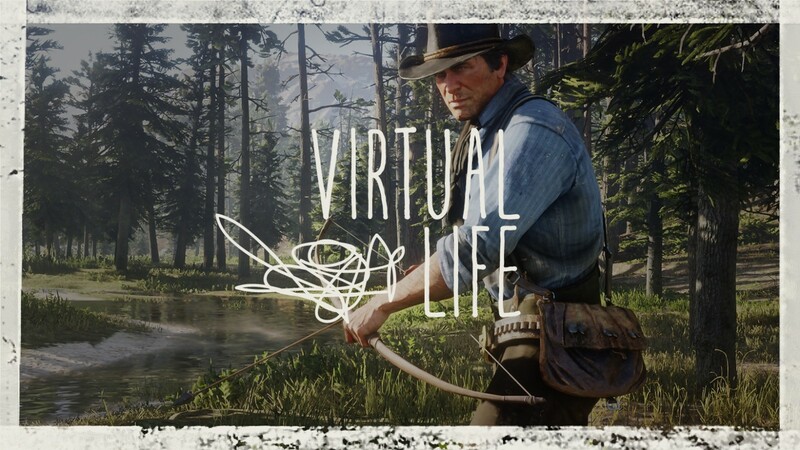 Marston spends the entire story of the original game trying to either outrun his past or literally kill it. Morgan’s journey has thematic similarities, mostly confronting the past and the present in order to define the future, but it veers sharply into unexpected territory halfway through the story. Can Morgan be redeemed? 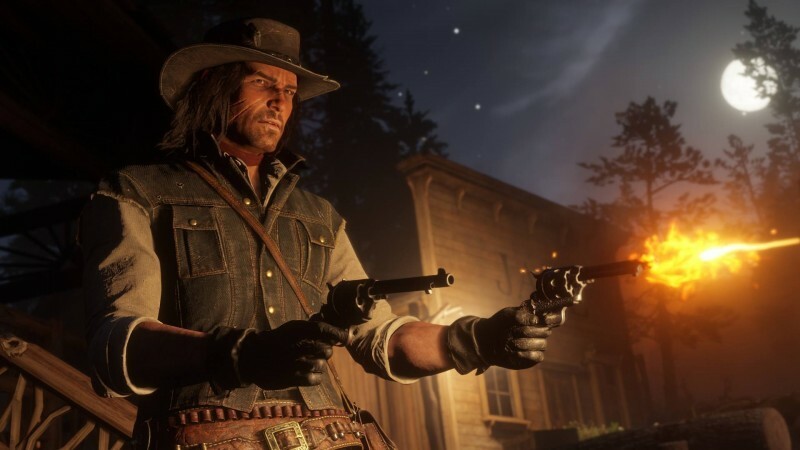 He’s done some pretty awful things – robbery, assault, murder by the piles – and Red Dead Redemption II isn’t interested in making things nice and tidy for our anti-hero when it comes to returning to the light. Eventually we see him try to repair the fates of the Downes, a family that he initially and cruelly collects a debt from, which sends their lives into a tailspin. He gives them enough money to start a new life somewhere else. When the matriarch of the family tells him she won't forgive him, he says he's not looking for forgiveness, pointing to a genuine, selfless desire to be a better person. In spite of all the things he's done, Morgan is surprisingly sympathetic. It’s easy to forget, because most of it is referenced in passing conversation, that he was taken in by Dutch at a young age as an orphan. So much of what Morgan does is rooted in pleasing Dutch because Morgan sees Dutch as a father, which allowed Dutch to groom him into his henchman. It’s only in the face of death and mounting evidence that Dutch will betray the gang that Morgan rebels against his abusive father and decides to be his own man in the last precious hours of his life. For more on Red Dead Redemption II, check out our review of the game here and our list of 10 quality of life changes we'd love to see.